In fact, it can cause more than frustration. The American Academy of Dermatology reports that acne can actually lead to both physical and psychological issues for those who struggle with this common condition. 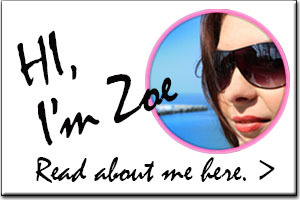 You may find your self-image is impacted, and you can even experience anxiety and depression as a result of the acne. The good news is that this doesn’t have to be the case. Help is available in the form of effective new topical treatments that can clear up breakouts and even prevent future scarring. It’s a line of acne treatment products that combine proven active ingredients that combat breakouts with natural extracts that soothe irritation and redness while promoting the healing of lesions. 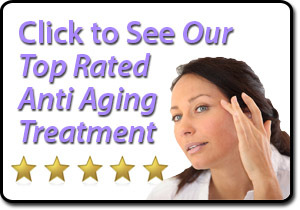 People who use this treatment system claim they see clearer, smoother skin in just 30 days. The manufacturer apparently stands by this claim – they have a full one-year money-back guarantee so you can get your money back if you don’t get the results you want. The Exposed Skin Care treatment does a number of things simultaneously to get these results. 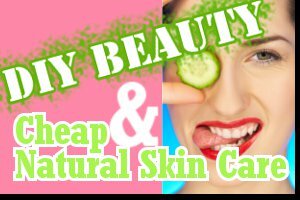 It makes use of acne fighting ingredients, such as benzoyl peroxide, to kill the bacteria deep in the skin and unclog pores. Natural extracts, such as passion flower, help to soothe the skin while reducing any associated redness. What’s Included in This Acne Treatment System? 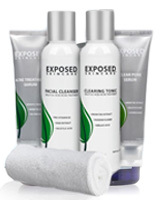 The Exposed Skin Care is line includes several products that are intended to be used together for the best results. You can order a kit to save money, which I recommend (more on that in a minute). 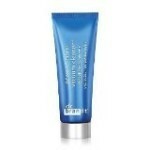 Facial Cleanser – Gentle face wash that removes dirt and oil while penetrating your pores to kill bacteria. Non-irritating, maintains your skin’s lipid layer. Clearing Tonic – Paraben-free tonic that prepares your skin or the Acnes Treatment Serum. This treatment controls blackheads and whiteheads while returning your skin to its natural healthy balance. Acne Treatment Serum – Formulated with proven acne-fighting ingredients like benzoyl peroxide green tea extract, and tea tree oil to prevent new acne blemishes and whiteheads. Clear Pore Serum – Lightweight gel that penetrates pores to control acne pimples and blackheads and repair damage while you sleep. Moisture Complex – Oil-free gel that locks in moisture and rebalances your skin to promote smoother, healthier skin and to calm irritated skin. This is an important step, since the clearing tonic can make some people’s skin a little dry. 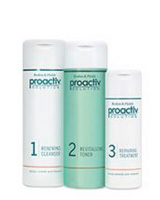 How Does It Compare with Proactive and Other Popular Acne Products? Many products on the market today claim to cure acne, but people don’t always get the results they want when picking and choosing across different brands. For this reason, a number of companies have come out with complete systems that they state will cure this problem when the products in the system are used together. 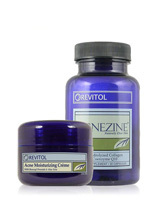 Three of these acne treatment systems that most of us are aware of are Proactive, Murad, and Acnezine. 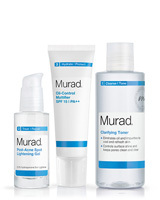 The Murad Acne Complex Kit opens blocked pores and repairs the skin, but doesn’t kill the bacteria responsible for acne, and doesn’t contain a component that improves skin tone. In contrast, the Proactive 3-step 60-day system kills the bacteria and renews and exfoliates the skin without unclogging pores or repairing the damage. But my research shows it can take twice as long to see results with Proactive that with the other options. 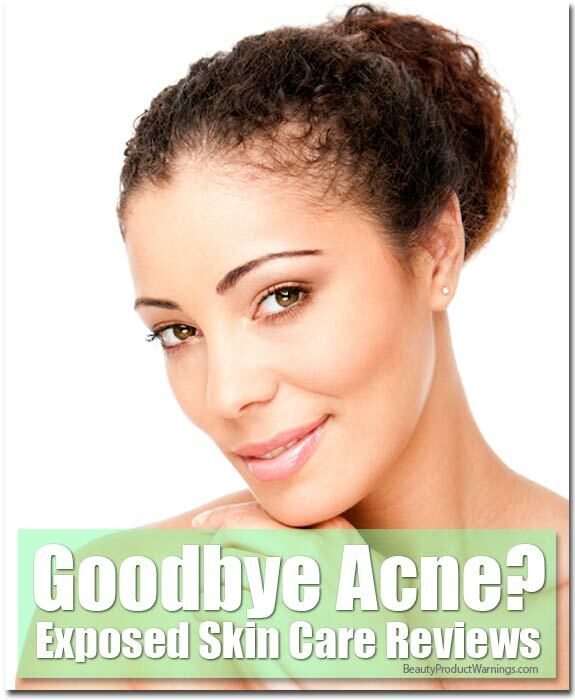 Finally, Acnezine is an acne system we’ve reviewed and recommended before. While we like the combination of the topical cream plus supplement to kill bacteria and unclog pores while helping repair skin from the inside, this system is lacking ingredients to improve skin tone. Given our research, the Exposed system is the winner here, since it’s the only product to renew, exfoliate, and repair the skin while killing bacteria, opening the pores, and even improving skin tone. Best of all, it uses natural ingredients that produce the real results while minimizing irritation and redness. Speaking of ingredients, let’s look a little closer at exactly what’s in the Skin Care Exposed products. Few people have reactions to these natural products, making it a perfect choice for those with sensitive skin, and very effective in terms of results. Because the Exposed system is carefully crafted from gentle, natural ingredients, it’s very non-reactive for people of all skin types. We have heard no reports of side effects – the only downside is that using the facial cleanser and serum alone can be drying to the skin. This is why we recommend getting the Expanded Kit that includes the Moisture Complex to keep your skin hydrated. Cystic acne, or that acne which is characterized by oily skin, pimples, blackheads and whiteheads, disappears with use of the system, and it addresses all skin problems associated with this condition. Because the Exposed product line is created with all-natural ingredients, this skin care line take time a little time to work. Don’t expect to use the products tonight and wake up with clear, perfect skin tomorrow. We scoured the Internet for what real customers are saying about the Exposed acne kits, and were surprised to find hundreds of reviews where people are really raving about their results. I never give reviews but I just had to with this product. It’s amazing. I’ve had problem skin for as long as I can remember and I can honestly say this stuff worked for me. I have super sensitive skin (I could feel it start getting super dry) so I only used it at night after the first week and I’m still seeing amazing results. It completely changed my skin. I’m so glad I finally found Exposed! It cleared my skin within 30 days just as it promised and I have had clear skin ever since, for almost 2 years now. Exposed cleared my skin in 14 days, I was using Proactive for months and my skin never seemed to clear up. I followed the instructions, read how my skin could get worse at first, and my skin did get worse which I hated. I kept using the product because I had nothing left to try & nothing to lose. The end of the second week, my skin was clearing. At 4wks my skin was the smoothest & clearest it’d been for years. Clean, clear, smooth. I’m not kidding, I’m not paid, I’m just happy. Perfect. My skin looks amazing and didn’t dry to flakes like with other cleaners. This stuff is all natural and smells ok.
People consistently speak of how excellent the products are, but do recommend that users follow the instructions exactly. Those who state they had more breakouts following use of the product may not be doing so, thus they are damaging their skin. The key is to follow the directions and not use too much product. Doing so could dry the skin out and lead to additional breakouts as the skin tries to compensate. Is the Exposed Skin Care System Right for You? This acne treatment system works best on people who suffer from cystic acne and blackheads. If you’re someone who is tired of living with blemished skin and have been disappointed with acne products in the past, you might want to give Exposed a try. If you do decide to try it out, we’d love to hear about your results, so drop us a line in the comments below! 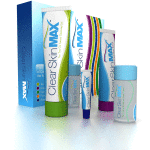 The best place to pick up Exposed Skin Care Products is from the official website. Not only does this ensure you get the authentic product, but you’ll also be able to take advantage of a number of special offers. Check out the different kit options to see which one is right for you – and save up to 53% off the price of the individual products when you purchase a kit. When you order from the official website, you can send in before and after photos and receive a free year of skin care products or remit a bottle of a competitor’s product and receive a $25 credit on your account. You also get the Exposed double guarantee – clear skin in 30 days and a full one-year money back guarantee.